Global protein expression services market report gives comprehensive outlook on protein expression services across the globe with special emphasis on key regions such as North America, Europe, Asia Pacific, Latin America, and Middle East and Africa. The report on global protein expression services market gives historical, current, and future market sizes (US$ Mn) on the basis of proteins, and region. This report studies global protein expression services market dynamics elaborately to identify the current trends & drivers, future opportunities and possible challenges to the key stakeholders operating in the market. In addition, global protein expression services market report includes human demographics; regulatory scenario, and competition analysis with vividly illustrated the competition dashboard to assess the market competition. Moreover, PBI analyzed global protein expression services market to better equip clients with possible investment opportunities across the regions (regional Investment Hot-Spots) and market unmet needs (Product Opportunities). Key stakeholders of the global protein expression services market report include suppliers, manufacturers, marketers, policy makers, and healthcare service providers engaged in global protein expression services products. The global protein expression services market estimated to be valued US$ 532.8 Mn in 2018 and poised to grow at significant CAGR over 2019-2025 owing to increase in prevalence of chronic disorders such as cancer, cardiovascular diseases etc. coupled with rising demand for biologic products in the market drives the growth of the market. Moreover, increase in number of pharmaceutical and biotech companies and demand for discovery outsourcing to improve the R&D productivity and to manage cost by the companies fuels the growth of the market. However, stringent government regulations are expected to hinder the growth of the market. North America accounted for larger revenue share in global protein expression services market with significant CAGR owing to presence of large number of market players in the region and growing research and developmental activities on recombinant-based protein and technological advancements in protein expression systems drives the growth of the market over the forecast period. Asia Pacific region is expected to grow with highest CAGR over the forecast period owing to presence of emerging economies such as China and India and increasing prevalence of chronic disorders enhances the growth of the market. 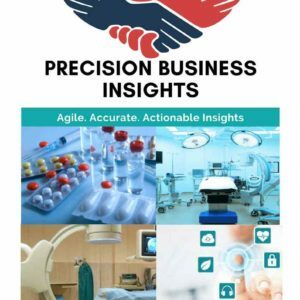 Global protein expression services market is surging owing to strategic collaborations and acquisitions and mergers among the market players to strengthen their position in the market. For instance, in In August 2018, Avista Healthcare Public Acquisition has announced that they have entered into a definitive merger agreement with Organogenesis Inc., under which Organogenesis will become a wholly owned subsidiary of AHPHAC. Global protein expression services market expanding at significant CAGR over 2018 to 2024 owing to the research activities and development of new products and launch of novel technology for the protein expressions. The above-mentioned segmentation is tentative; it is changed according to client’s requirement, or research feasibility.